Inman Terrace is a fabulous community of townhomes located near the Heart of the Inman Hills neighborhood. These townhomes have rooftop terraces with incredible city skyline views. 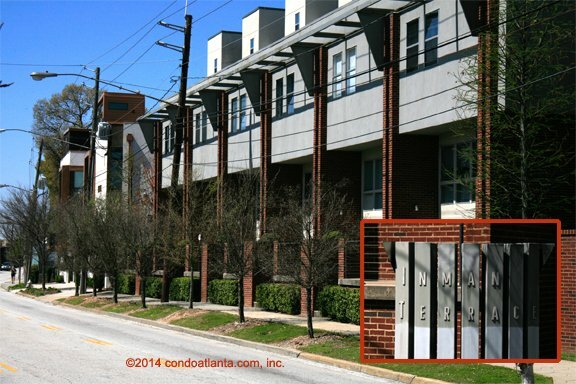 Enjoy all the benefits of a location near Historic Inman Park, the Krog Street Market, and the Atlanta Beltline. Walk to Little Five Points L5P, Candler Park, Virginia Highland, and more. Commuters will appreciate access to travel routes along Dekalb Avenue, and Moreland.